The Sunday Times poll sees Fine Gael drop two points to 32% and Fianna Fáil unchanged at 26%. FINE GAEL HAS seen its support take a slight dip while other parties remain largely unchanged, according to the latest Sunday Times/Behaviour & Attitudes poll. The poll sees Fine Gael drop two points to 32% and Fianna Fáil unchanged at 26%, however its support in Dublin has fallen by seven points in a month. Sinn Féin is up one point to 18%, while independents and others are down one point to 18%. Labour rose by one to 6%. As Ireland’s flu epidemic continued to worsen throughout the first half of January, almost seven out of 10 voters (68%) said that issues in the health service would impact how they vote if there were a generation election in the morning. The poll found that health was 18% higher among voter concerns than the next biggest issue – homelessness and the lack of social housing. This was a concern for 50% of people surveyed. At the beginning of January, a record high of 656 people were waiting on trolleys. While 50% of people expressed concerns over social housing, just 32% of voters were concerned about the cost of housing (prices, mortgages, and rental costs) and employment as issues that could affect their general election vote. 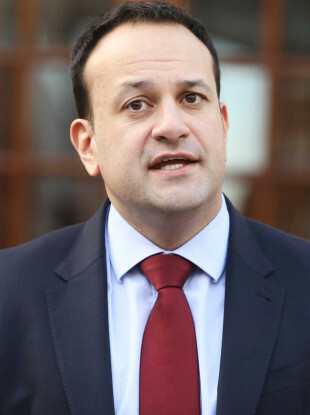 The government dropped seven points in its satisfaction rating to 44%, while Taoiseach Leo Varadkar’s personal rating fell four points to 50%. However, the satisfaction rating for other party leaders also dropped, with Micheál Martin down five points to 50% and Brendan Howlin down four to 42%. Gerry Adams fell just one point to 37% – this was his final rating as Sinn Féin party leader before Mary Lou McDonald formally steps in on 10 February. “If these figures were replicated in a general election, a Fine Gael-led rainbow coalition including Labour, the Greens and perhaps the Independence Alliance would be a distant possibility,” Ian McShane, executive chairman of B&A told the Sunday Times. Email “Drop in support for Fine Gael as voters say health service issues would impact their vote ”. Feedback on “Drop in support for Fine Gael as voters say health service issues would impact their vote ”.